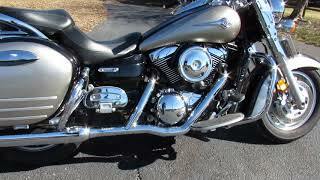 Hi, I am interested in your 2007 Kawasaki Vulcan 1600 (stock #MC01772) listed on Autotrader for $4,995. I'd like to get more information about this vehicle and confirm its availability. Nice clean 2007 Kawasaki Nomad 1600 with 13,433 miles. Set of true dual Cobra exhaust, good tires, new air filter, fresh oil and filter ready to ride.